Give your party animal the perfect accessory with this Large Glitter Leopard Party Hat! 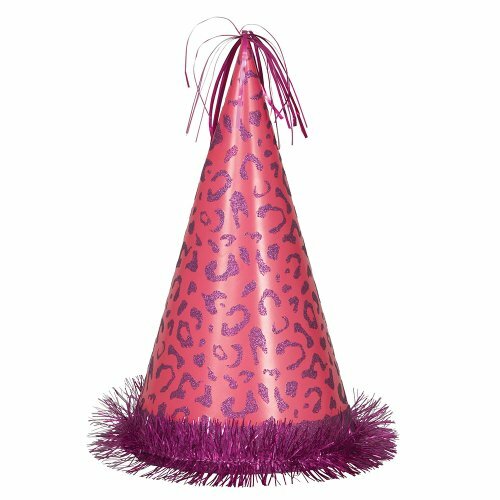 This Leopard Print Party Hat measures 13" tall and features a glittery leopard print design with a pink tinsel base. Leopard Party Hat is a fun party accessory for a girl’s birthday party, Sweet 16 party, or bachelorette party. Coordinate with other animal print party supplies and decorations for a wild celebration.